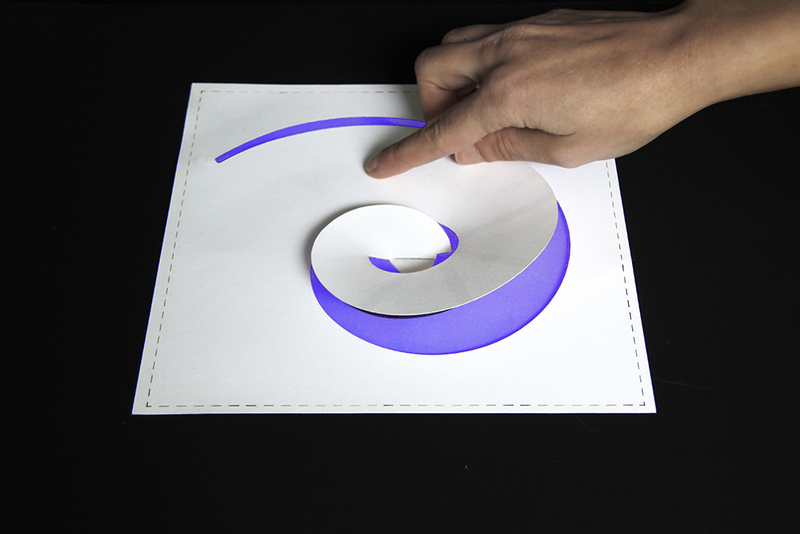 I worked on a stiffness property of paper and how the material might react on touch. 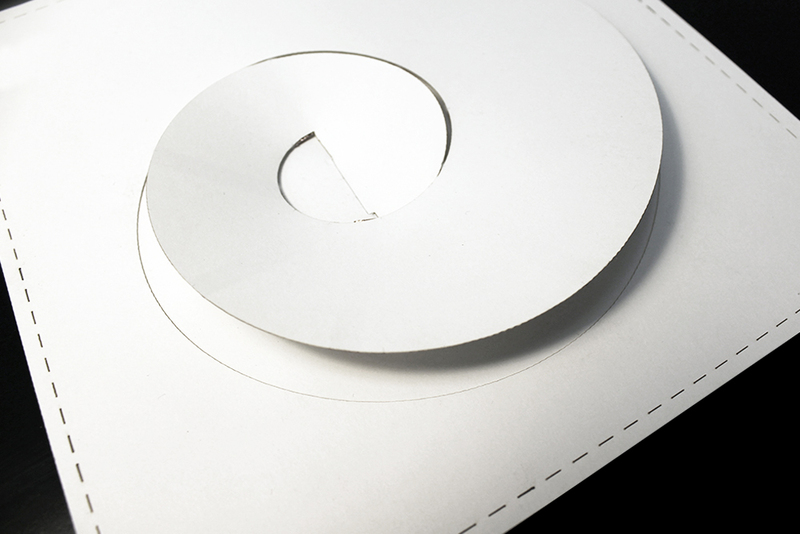 I used the spiral shape cut to make paper more “responsible”. While swiping your finger through the spiral you are closing the circuit between upper and down sides, that might be implemented as a controller. The symbol of spiral is associated with growth, development, rise. Using this meanings in the interaction might represent that you regulate something from small to big, from less to more (sound volume, change the intensity or colour of the light). 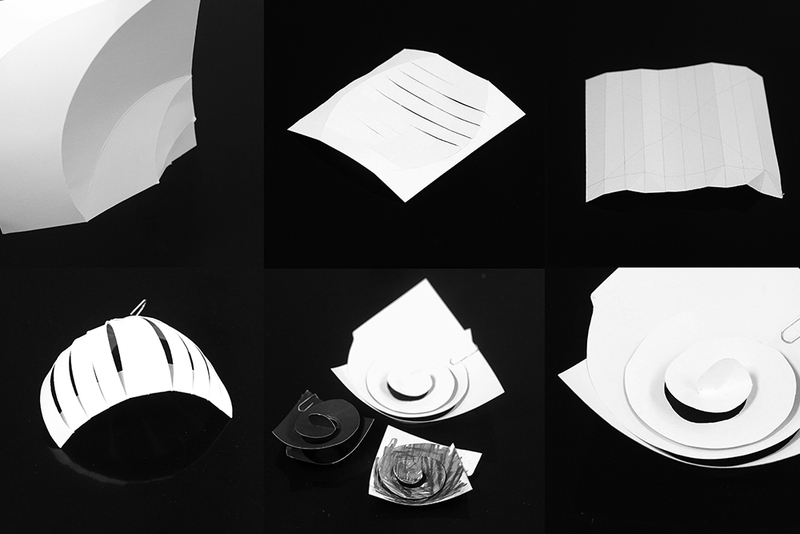 I started the working process with experiments on paper folding techniques. 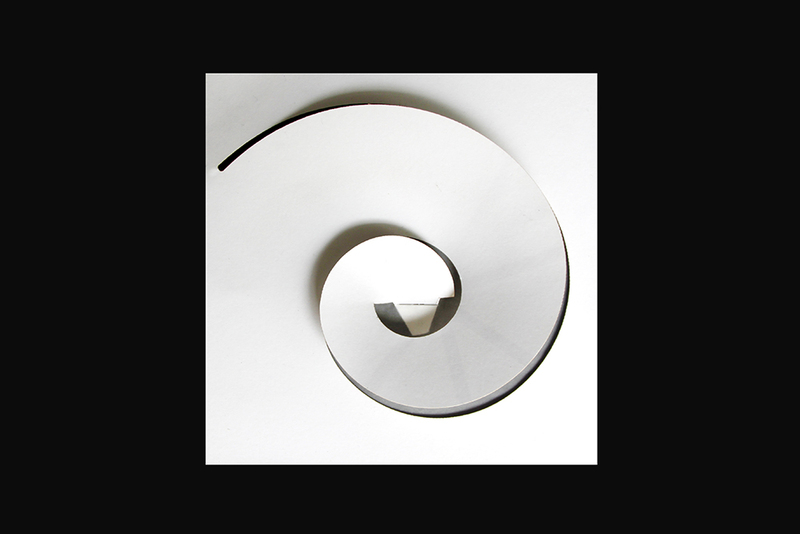 One of my first models was related to rolling or twisting a circle cut shape. 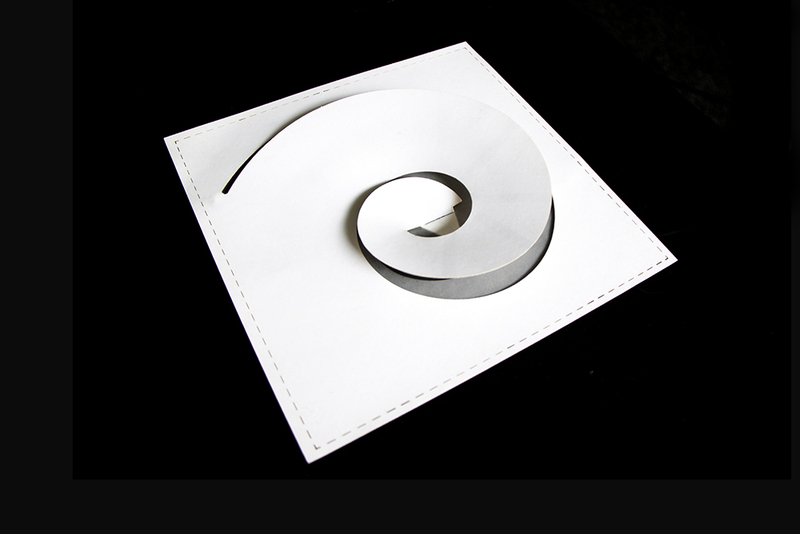 Later I made a spiral cut in the square paper and played with a curviness of the center element. That made shape more “responsible” and bouncing while touching. I developed this concept with the use of Polytronic, as if it will be possible to print touch sensors (switching on/off) and organic light-emitting diode (OLED). To build a prototype and see how it works I started to test different conductive materials. There were such pairs as: graphite 2B/graphite 2B (material for bottom / top paper); graphite 8B/copper tape; conductive ink/copper tape. At the end I choose pair graphite 8B/copper tape, because these materials are highly conductive and were giving a quick reaction even on a slight touch. The model consist of two square papers in size of 200×200 mm. 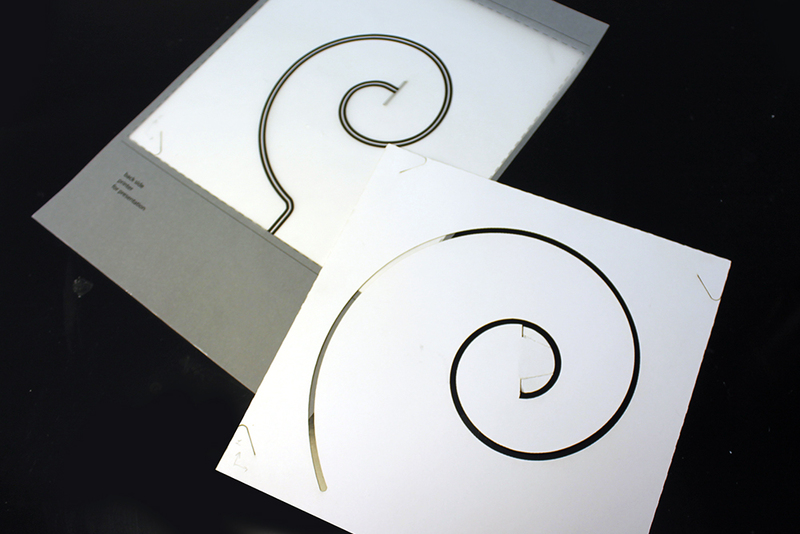 The bottom part has a conductive path and a small cut for fixing the spiral element. The top part has a spiral cut and conductive lines on the back. The light activates though closing contacts between top and bottom parts. One of the possible scenarios is to make a ready to work product, that can be bought in the shop. Afterwards you following instructions easily fix two papers with the middle lock and four locks on edges. At the end you have portable source of light with dimming function. The final product might be made with different types and colours of paper, were also reflections will play a role.